CELEBRATE 75 YEARS OF THE KING OF THE SEVEN SEAS! 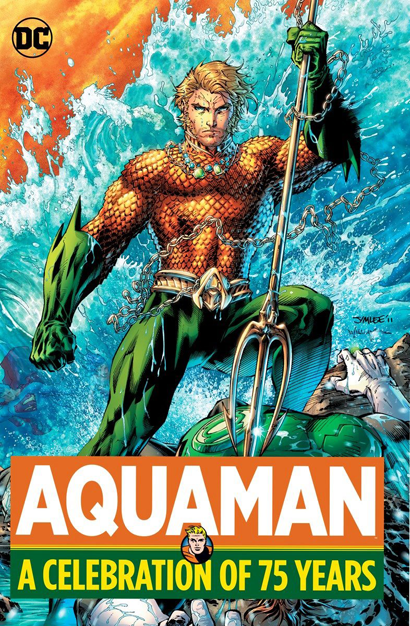 From the lighthearted swashbuckling adventures of Aquaman's early decades, through the loss of his son (not to mention his hand), to his modern reinvention as a formidable master of the sea, this collection provides a crash course in more than seven decades of DC history! 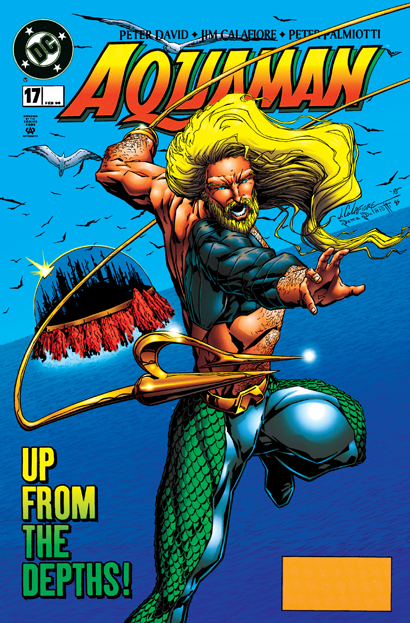 AQUAMAN: A CELEBRATION OF 75 YEARS collects 400 pages of the iconic hero's finest moments--from his first appearance by Mort Weisinger and creator Paul Norris to his modern-day adventures--and features the work of such comics superstars as Geoff Johns, Ivan Reis, Jim Aparo, Steve Skeates, Peter David, Ramona Fradon, Paul Levitz, Nick Cardy and more. 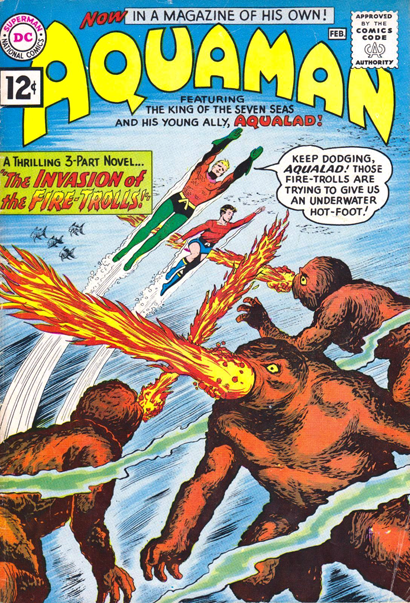 I am glad to finally see Aquaman (1962) #1 get a legit reprint in color. 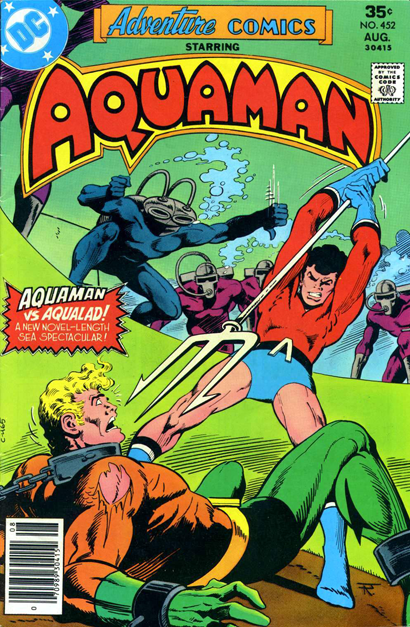 I would have liked to have seen the first appearances of Mera, Black Manta and Ocean Master included in the 1962 issues chosen. It light on later stuff but I suppose that so that people keep buying the trades from American Tidal, New 52 etc. All in all, looking foward to this compilation! Very cool. I love the JLD cover. I remember reading that issue a couple of dozen times as a kid when I bought it off of the spinner rack. We get Aquaman vs Lobo by PAD but no Atlantis Chronicles? My wife gave me the Batman 75 years edition. They use really decent paper in the editions. Can't wait to go through Aquaman one. Aquaman 57 doesn't make the cut? You got to be kidding! 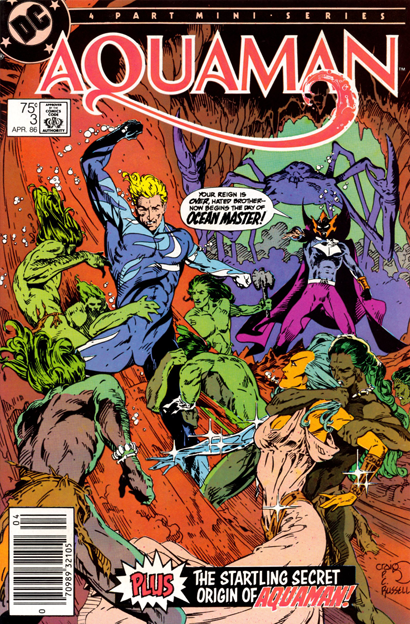 Atlantis Chronicles is amazing, and definitely deserves to be reprinted, but Aquaman himself doesn't show up until the end of the last issue, and even then it's as an infant, so I don't know that it'd necessarily fit here. Really happy to see PAD's Aquaman no. 17 among the selections. That single issue is responsible for sparking my Aquafandom. 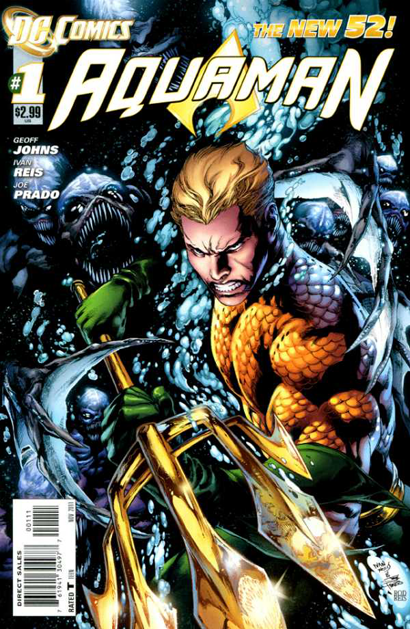 I think New 52 Aquaman #43 is a very strange choice. 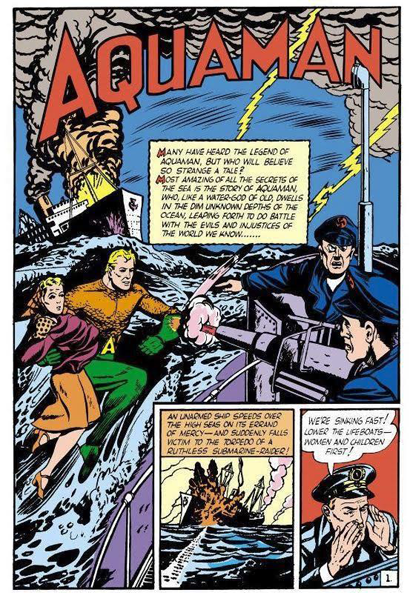 I was not a fan of the Cullen Bunn run on the book, and I do not think it featured a significant moment in Aquaman's history. I may be wrong, but personally, if they had to use another story from the new 52, I would have preferred a story from the Parker run. It's always impossible to make everyone happy with these things, but I'd've like to've seen at least one more selection from the Golden Age. I imagine those stories get repetitive, but I've always wanted to see a full-color archive of at least a selection of them. And closing with #43 is indeed bewildering, over #39 or #40, for instance.